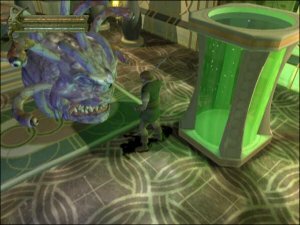 The best selling game for the PC makes it's way to the PS2 with an absolute glorious experience in store for all those who purchase the title. 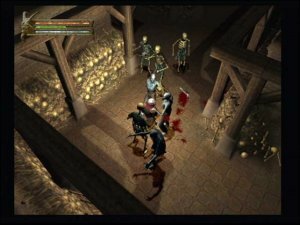 For those who have enjoy the PC series, fear not, Dark Alliance is an all new fresh look at the way this game is played with your control solely being taken up with one player instead of a whole party. 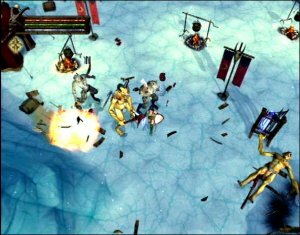 The new title is more action oriented and is a delight to play. Full control is possible and the storyline is intriguing. You have a series of quests to fulfil to help the folk of Baldurs Gate who always seem to come to grief don't they? Playing as one of three characters: an Elven Sorceress, Dwarven Fighter or Human Archer, the entire game is massive with over 35 levels. Being totally true to the complex world of Advanced Dungeons & Dragons rules, you can imagine a invisible Dungeon Master madly throwing dice as you fight epic battle after battle. Exploration is key and one of the most rewarding parts of the game is the spectacular two player mode. Playing this game with a friend is a delight and takes a whole new slant to the entire game, making the title replayable, using different characters and with different friends you will find that game styles change as well. 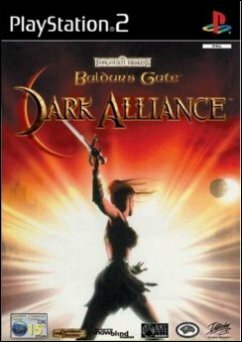 Baldurs Gate: Dark Alliance has my highest recommendation and is a must buy title for anyone who enjoys quality gaming.